Here’s everything you need to help you manage technology for your family without the battles, the worry or the guilt. 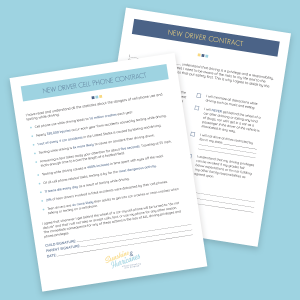 Includes a cell phone contract, screen-time contract, texting and driving contract and more. 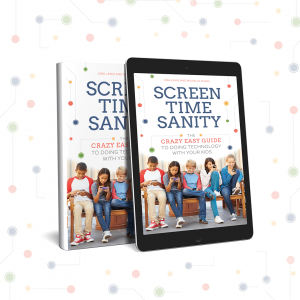 Make doing technology with your kids CRAZY EASY! Here’s everything you need to help you manage technology for your family without the battles, the worry or the guilt. Setting rules and expectations around technology use for your kids can drastically reduce the parent/child conflict that technology can create. Additionally, it helps your children learn to use technology responsibly and thoughtfully. 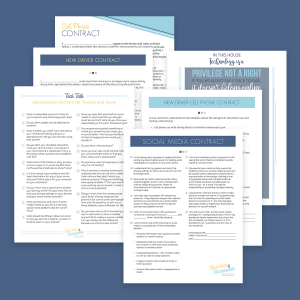 Contracts may seem a little formal for kids, but you’d be surprised how much it helps you and them. 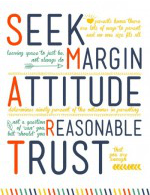 When everything is clear from the start, it leaves little room for argument and kids appreciate knowing their boundaries. 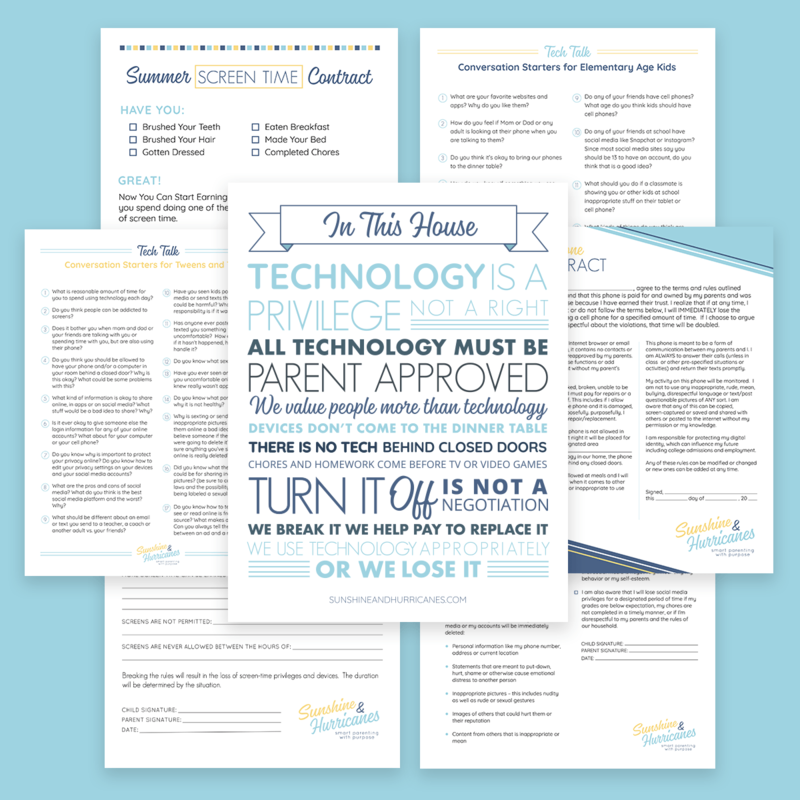 Also, all of these printables are tools for parents to initiate the important conversations you need to be having with kids today about technology. It’s not always easy to know where to start, so let us help you out!